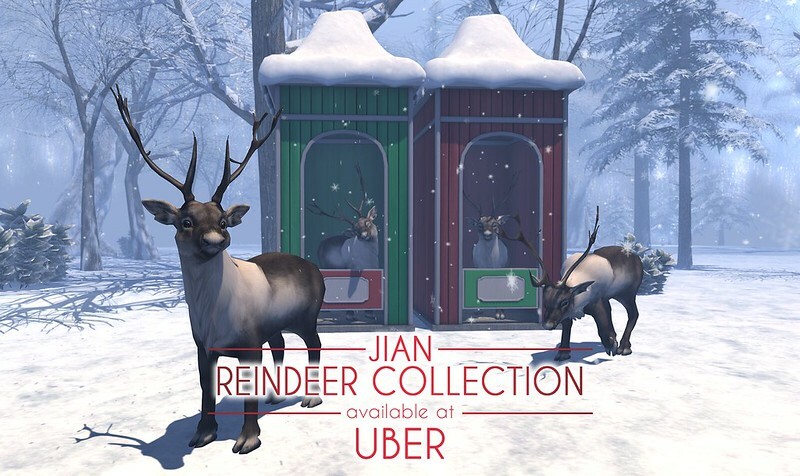 JIAN: Reindeer Collection @ Uber! Reindeer, caribou, whatever you wanna call them.. we got 'em! You can even call them Sven, if you want. They don't mind. I asked. - Wanderer Reindeer - 24 LI, Land roaming reindeer wanders within a defineable radius. - Frame Changer Reindeer - 2-3 LI, 5 static 'frame' changer reindeer meshes swap between 8 frames (positions) each. Swing by Uber to pick yours up today!